Norman Graham Freudenberg AM is 83 years old this year. He has written speeches for Labor leaders, particularly Gough Whitlam, a chronicle of Whitlam in office, and other books, including one about Churchill and Australia. He has been a back-room boy but a great character, as well. 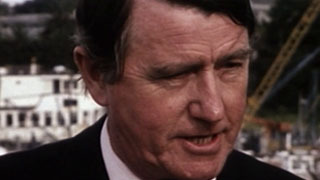 He could make his voice sound more like Gough Whitlam’s rounded breathiness than Whitlam could himself, so it is not surprising that so many of Whitlam’s most memorable speeches – in the written form that has come down to us, as well as the occasional surviving recording or TV broadcast – are as much Graham as Gough. 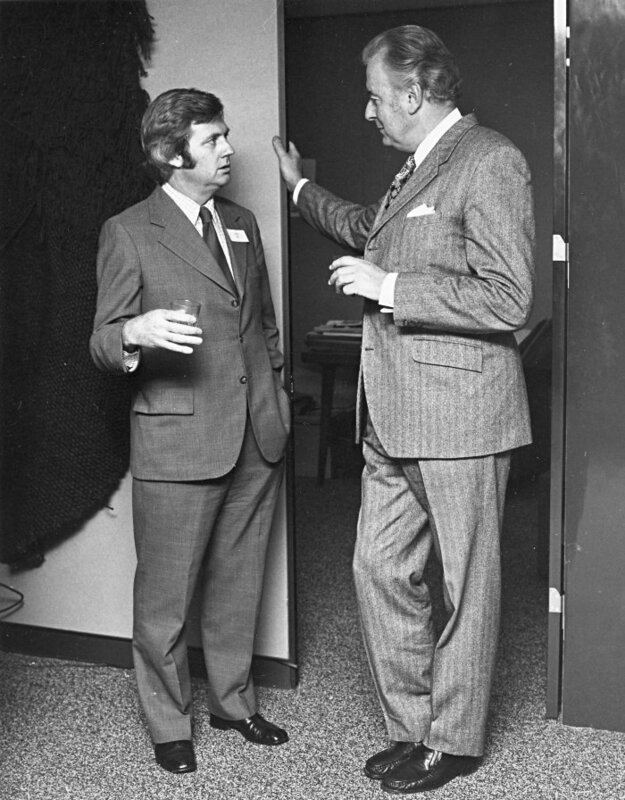 Whitlam, who knew his history, often referred to Freudenberg as ‘my Boswell’. Gough Whitlam died at a great age in 2014 but Graham Freudenberg persists – despite a historically prodigious intake of cancer sticks – perhaps because he lives on Bribie Island in Queensland. Freudenberg said this at Whitlam’s memorial service and it was a highlight of that occasion. Recently, though, he wrote two things of note that add further to his oeuvre (a word he certainly would pronounce correctly and with just the right amount of rolled ‘r’). The current campaign in Australia to glorify our part in the First World War has been a wasted opportunity to restore our fading sense of the horror and folly of modern war. In all this expensive campaign on TV, nothing has been presented that helps the new generation, or older generations for that matter, to understand better what George Kennan rightly called ‘the seminal catastrophe’ of Western civilization. As in 1914, hate, not the removal of its causes, is once again becoming the ruling political mindset. I am not yet ready to assert, as Malcolm Fraser did, that the United States is “a dangerous ally”. But I will place on record for the first time the last serious thing Gough Whitlam ever said to me, based on his experience with the Americans at UNESCO [as Australia’s Ambassador 1983-86]: “Either they must run the show or ruin it”. That is the real meaning of “America First” in 2017. The Oxford Shorter English Dictionary defines “trumpery”: TRUMPERY, noun (from the French “to deceive”). (1) deceit, fraud, imposture, trickery; (2) something of no value; (3) trash, rubbish. Neville Wran said in one of the McKell Lectures: “It was said of Caesar Augustus that he found Rome of brick and left it of marble. It will be said of Gough Whitlam that he found the outer suburbs of Sydney, Melbourne and Brisbane unsewered and left them fully flushed.” A few years later (and I’m proud to think that all these relationships deepened when I was off their official staff) Gough quoted Neville on Gough, adding “I accept Neville Wran’s compliment”. And here am I, in 2017, quoting myself, quoting Gough, quoting Neville quoting some Roman historian – the full circle. I don’t drag this in just for the sake of a story. I want to illustrate something that is precious, priceless about Australia and Australian history: the continuity of things and the interconnection of things, our own connection with the history of our own country, something, I think, unique to Australia. The First World War with the conscription crises, and the Depression, formed fault lines in Australian society, but it was our parents who bore the brunt. By contrast, we Depression babies belong to the luckiest generation ever in the lucky country. I have argued this elsewhere and won’t go into it here. But the Australian paradox is that our great good fortune occurred against the background of the most terrible and dangerous events in human history. Not that we were remote or uninvolved. You couldn’t grow up during the Second World War, particularly as I was in Brisbane, without a sense of history, enormous events happening in the dangerous world around us. And without – and I’m sure I speak for Bob [Hawke] in this – without a sense of indebtedness and obligation for the privileged life we have enjoyed as Australians. Also present and speaking at the Freudenberg ‘do’ was Carol Summerhayes, Gough Whitlam’s secretary when he was at his peak. (Oral history and transcript.) In her speech, she recalled being recruited by John Menadue in 1967, then working with Freudenberg in the pokey, companionable quarters of the then Parliament House, as Labor worked its way from Opposition to Government. For that building, to bastardise Banjo Paterson in ‘Clancy of the Overflow’, offered its occupants pleasures that denizens only of the new House will never know. The Freudenberg and Summerhayes pieces appear on the influential Pearls and Irritations blog, wrangled by John Menadue AO, who is of pretty much the same vintage as Freudenberg, but goes back even further with the late Gough, being his private secretary from 1960 to 1967, before going on to a notable career in public service and business. Menadue is also among Honest History’s distinguished supporters and we are pleased to have him there. The author of this note was John Menadue’s executive assistant in 1983, met Carol Summerhayes once, but Graham Freudenberg not at all. Honest History and Pearls and Irritations often publish each other’s material.